GERD (or gastroesophageal reflux disease) isn’t “just” acid indigestion - it’s a chronic condition that can eventually increase the risk for esophageal cancer. GastroMed is a top provider of GERD treatments for patients in Miami, FL, providing individualized care to help patients relieve symptoms and prevent more serious complications. GERD is an acronym for a chronic disease called gastroesophageal reflux disease, a condition causes symptoms similar to acid reflux or heartburn, but for much longer period of time and on a recurrent basis. Without treatment, GERD can lead to sores and erosion in the esophagus, and it can even increase the risks of developing esophageal cancer. Barrett’s esophagus is a condition that occurs in people with untreated or improperly managed GERD. In Barrett’s esophagus, the continual exposure to refluxing stomach acid causes the lining of the esophagus to change, eventually resembling the smooth tissue that lines the intestine. Barrett’s esophagus significantly increases the risk for esophageal cancer. GERD typically is caused by a weakening in the tight ring of muscle (called the lower esophageal sphincter or LES) that separates the esophagus from the stomach. Normally, this sphincter prevents food and acids from moving backward from the stomach into the esophagus. But if the sphincter becomes weakened or damaged, food and corrosive stomach acid can move backward or reflux into the esophagus, causing irritation and “heartburn.” Obesity, smoking and even pregnancy can all cause the LES to become damaged. Many patients with GERD respond to changes in diet and other lifestyle changes, including losing excess weight, eating smaller meals, elevating the head of the bed and quitting smoking, and often these measures are combined with prescription medicines. GERD also requires ongoing monitoring to ensure the condition does not become worse. In patients with more severe symptoms, surgery may be recommended to repair a damaged LES or perform other repairs to prevent or reduce symptoms and their side effects, as well as reduce the risk of developing esophageal erosions and cancer. Is it OK to manage GERD symptoms with over-the-counter products like antacids? Antacids and other over-the-counter products like proton pump inhibitors may help relieve some of the symptoms of GERD, but they don’t address the underlying cause - instead, they can mask the disease and delay proper treatment. Plus, taking these products for prolonged periods can cause serious side effects, including problems with nutrient absorption that can lead to other serious problems. 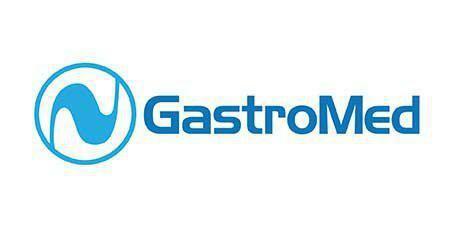 At Gastromed LLC , we accept most major insurances. Please see the full list of plans. If you do not see yours please call our office to see how we can help. "I love when a doctor makes you feel like you the most important person. He is very kind and took his time; was not in a hurry to go on to the next person." "He took the time to look over some exams I had done previous to my initial office visit. He was also very patient and listened to all my concerns." "He listened to my complaints, did numerous tests and prescribed me medicine that made me feel 99% better within 24 hours of taking it." "Although the office can get a bit busy, the appointment is never rushed and she takes the time to listen attentively. She's been a lifesaver." "Fantastic doctor. Takes her time with you. Asks questions. Listens. I highly recommend her." "I have the opportunity to see Dr. Robles as a patient and as family member of a patient. At all times, she has been professional and polite."